Dr Gang Pan is a full Professor and Ex-Associate Dean of Research for the School of Animal, Rural and Environmental Sciences. He is now the Director of the Centre of Integrated Water-Energy-Food (iWEF) studies at NTU. 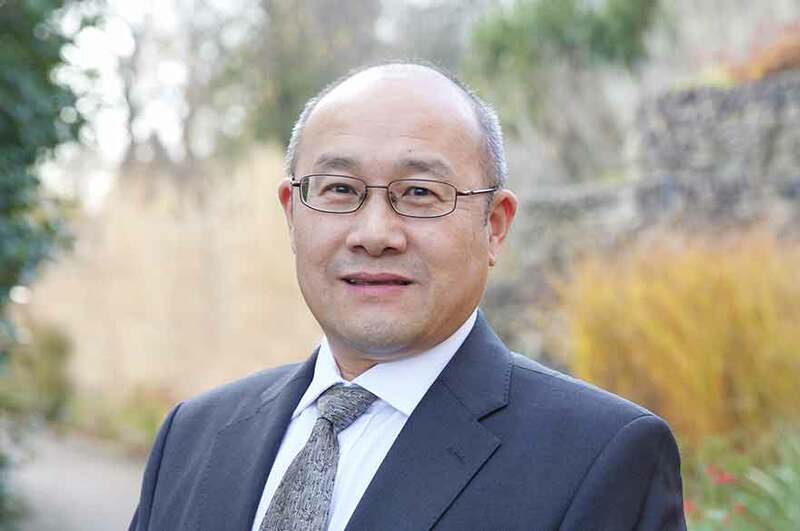 Prof. Pan is an environmental chemist and aquatic ecologist, and a material chemist with expert knowledge on eutrophication and harmful algal blooms control, lake restoration, aquatic ecology, soil remediation, water treatment and nanotechnology. His current research focuses on algal biotechnology and nanobubble technology. He has published more than 250 peer-reviewed papers with H Index of 43 (Google Scholar). He has been granted more than 30 research projects with total funding of £70 million. His team’s modified local soil technology for the removal of harmful algal blooms and the restoration of lakes has been successfully commercialised in China. It has also been tested in New Zealand, and is regarded as the priority technical measure in national freshwater programmes. Micro-algal technology for pollutants removal (water, soil, and air), electricity and biofuel production, and microsphere algal biochar production for soil remediation and agricultural food safety. Opportunities to carry out postgraduate research towards an MPhil/PhD exist and further information may be obtained from the NTU Doctoral School. Impact of eutrophication on arsenic cycling in freshwaters, Water Research (2019), 150: 191. Cryogenic circulation for indoor air pollution control, Science of the Total Environment (2019), 651: 1451. Switching Harmful Algal Blooms to Submerged Macrophytes in Shallow Waters Using Geo-engineering Methods: Evidence from a N-15 Tracing Study, Environmental Sciences & Technology (2018), 52: 11778. Hypoxia Remediation and Methane Emission Manipulation Using Surface Oxygen Nanobubbles, Environmental Science & Technology (2018), 52: 8712. Combating hypoxia/anoxia at sediment-water interfaces: A preliminary study of oxygen nanobubble modified clay materials, Science of the Total Environment (2018), 637: 550. Enhanced phosphorus locking by novel lanthanum/aluminum–hydroxide composite: implications for eutrophication control, Environmental Science & Technology (2017), 51(6): 3418. From Harmful Microcystis blooms to multi-functional core-double-shell microsphere bio-hydrochar materials, Scientific Reports (2017), 7: 15477. Flocculation of cyanobacterial cells using coal fly ash modified chitosan, Water Research (2016), 97: 11. Removal of Microcystis aeruginosa using cationic starch modified soils, Water Research (2016), 97: 19. Ecotoxicological assessment of flocculant modified soil for lake restoration using an integrated biotic toxicity index, Water Research (2016), 97: 133-141. Nanobubbles at Hydrophilic Particle–Water Interfaces. Langmuir (2016), 32: 11133. Manipulating nutrient limitation using modified local soils: A case study at Lake Taihu (China), Water Research (2016), 101: 25. Simultaneous removal of harmful algal blooms and microcystins using microorganism-and chitosan-modified local soil, Environmental Science & Technology (2015), 49: 6249.